When Colin Meloy visited the show last year he promised to bring back his entire band, The Decemberists, next time they were in town. This week he makes good on his word. Meloy, Jenny Conlee, Chris Funk, John Moen and Nate Query join Jim and Greg for a conversation and performance. The band was in Chicago to perform a show and promote their most recent album The Crane Wife. This orchestral pop concept album is harder rocking than previous efforts, much to the delight of Greg, who only recently became a Decemberists‘ convert. Colin explains, "We’re really interested in rocking." The band came into Chicago only a couple of weeks after the Virginia Tech massacre. Greg asks the band how that had affected their live shows. Colin responds that he was horrified by the incident, and was struck by how the media glommed onto the shooter's“macabre aesthetic.”In this case, these were perhaps warning signs, but Colin hopes people don't become unnecessarily paranoid about young people expressing their dark sides. Greg agrees, saying that art can often be the best way to respond to violence or tragedies. The night Jim and Greg saw the Decemberists play live, Colin spoke about the Virginia Tech shootings, and the band followed that with a performance of "I'll Come Running," by Brian Eno. Sound Opinions listeners know that Jim has a special place in his heart for Eno, and he appreciated the choice of this song, which is about love and helping a friend. You can hear this song, as well as a rousing rendition of the three-part suite "The Crane Wife" in the course of the interview. What better way to round out the summer than with a Sound Opinions (virtual) summer road trip. Too often, New York, L.A. and Nashville get all the music industry attention. But, there are great rock scenes all across the country, so this week Jim and Greg check in with insiders in three music towns coast-to-coast. They talk to Sam Sessa, an entertainment writer for the Baltimore Sun and the host of WTMD's Balitmore Unsigned, Bob Mehr, a music critic at Memphis' Commercial Appeal and Casey Jarman, the music editor at Portland's weekly newspaper the Willamette Week. Check out these local acts-old favorites and new ones recommended by our city guides. 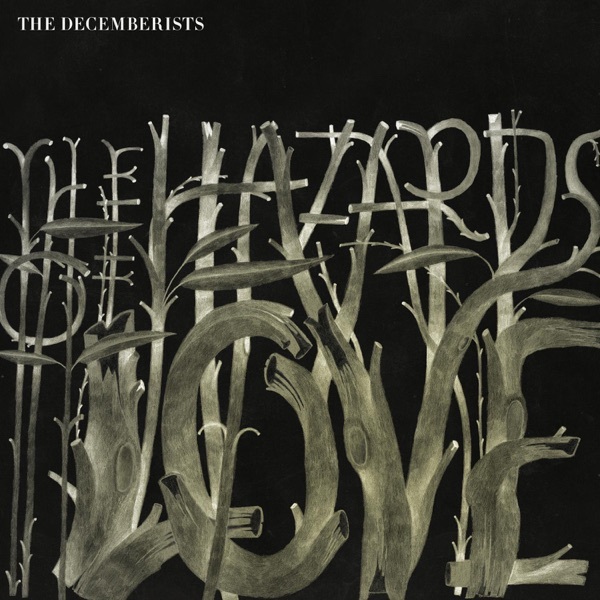 Finally, we move to the literate, fantastic world of The Decemberists. Lead-singer Colin Meloy (a former guest of our fair show) has always been wordy, but with lyrics like“affix your barbs and bayonets, the curlews carve their arabesques,”and song titles like "The Island: Come & See/The Landlord's Daughter/You'll Not Feel The Drowning," he is taking it to a new level. The Decemberists' new album, The Crane Wife, is based on a Japanese folk tale — but despite these lofty inspirations, both Jim and Greg love this album. Jim has never denied his fondness for epic prog rock, but commends Meloy for taking the genre into the present, without sacrificing the hooks. Sound Opinions can vouch for Jim's praise of this record; he beams every time he mentions it. 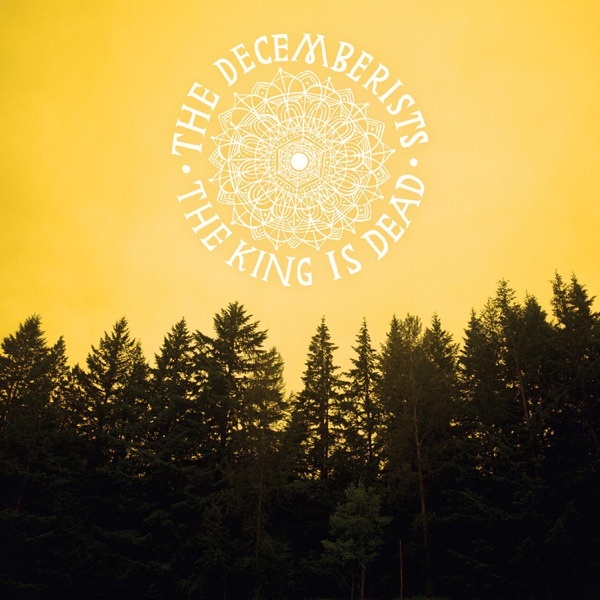 In the past, Greg has given the Decemberists (and Jim) a hard time for being too“twee.”But, he found this album to be the most ambitious of the band's career. He compares much of Meloy's writing to that of English bands like the Fairport Convention and explains that he is“developing into one of the most important songwriters of our time.”So this episode of Sound Opinions ends on a high note (literally, if you listen to Jim's sing-a-long). The Crane Wife gets two Buy Its. Since 2004, The Decemberists have evolved into full-blown theatricality. Now they scale it back with their sixth album The King is Dead. According to Jim, it's with this record that they silence critics of their prog antics and prove at their heart they're simply about great songwriting. Lead singer Colin Meloy and the band looked to American folk and roots music and enlisted R.E.M. 's Peter Buck for a track. Greg finds the results more straightforward. The King is Dead shows that less is more and gets a double Buy It. It's time for the annual Sound Opinions Thanksgiving Turkey Shoot! Each year, Jim and Greg serve up their biggest musical turkeys of the year with a hefty glob of cranberry sauce. They share the albums that they had high hopes for, but ended up letting them down. Midlake, "Roscoe." An echo from Lindsey Buckingham's past? The sound is mid-'70s Fleetwood Mac: dusky folk-rock. I can imagine Christine McVie doing a perfect cover of this song. The song is set in 1891, like a dream about a more innocent time. 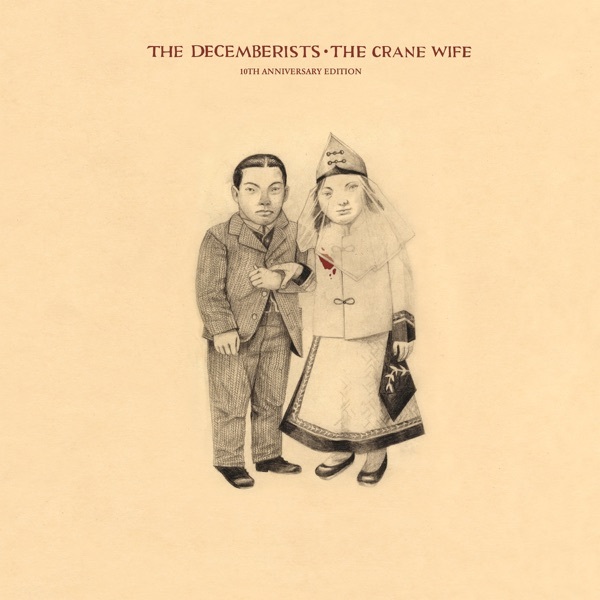 The Decemberists, "The Crane Wife 3." Still in the past, still dreaming, but the innocence turns to despair. Rhymefest, "Bullet." To Iraq. Turn on the TV, and we see young recruits wondering how they ended up in a desert in the Middle East fighting a war they don't understand. Serena-Maneesh, "Drain Cosmetics." A sandstorm of guitars. Secret Machines, "Lightning Blue Eyes." Then tunneling out, and into the sunlight where "I felt awake, I was way out." Parts and Labor, "A Great Divide." A call to arms, a dividing line in the mix, day becomes night. The Roots, "In the Music." A sinister night vibe, as low-riders slink through skyscraper canyons. Justin Timberlake, "What Goes Around/Comes Around." And a reckoning goes down — "I can‘t believe it’s ending this way." Love is All, "Make Out Fall Out Make Up." The hangover aftermath —"I think I'll spend all day in bed." Gnarls Barkley, "Gone Daddy Gone." "Love is gone away." John Legend, "Show Me." A morning prayer for guidance. Before we fully jump into 2016, let's say goodbye to 2015 with the year's best singles. Eleventh Dream Day, "Go Tell It"
Wind Burial, "Crown of Bones"
Protomartyr, "Why Does it Shake?" Glenn Mercer, "Here Come the Warm Jets"
Le Butcherettes, "Oil the Shoe If the Critter Knew Any Better"
Death Cab for Cutie, "The Ghosts of Beverly Drive"
The Dead Weather, "Three Dollar Hat"
Donnie Trumpet & the Social Experiment, "Sunday Candy"
Snooty Garbagemen, "No Such Thing as Superman"
The Decemberists, "The Singer Addresses His Audience"
Lupe Fiasco, "Madonna and Other Mothers in the Hood"
As 2011 comes to a close, it's a great time to think about the songs that defined the year. Jim and Greg have compiled their favorite songs into mixtapes. During the show you'll hear a small selection, but luckily you can stream both mixes in their entirety. And you can make your own. Happy New Year from Sound Opinions! Greg Kot's 2011 Mixtape: "End of Time"
And some more #1s from the listeners! We're halfway through 2011, which means it's time to get a jump on the Best-Of Lists. Here are Jim and Greg's mid-year best. The Rock Doctors' patient this week is David from Minneapolis. David's“ailment”is that he has a tough time finding music that both he and his kids will enjoy. As the father of four boys between the ages of three months and 10 years, that's quite a challenge. So far he's had luck with The Decemberists, Earth, Wind and Fire and Sugar — basically anything with great pop vocals and harmonies, as well as a good beat for dancing. And of course, some of his sons have fallen under the spell of tween pop star Kelly Clarkson. Greg's prescription is New Magnetic Wonder, the latest album from Apples in Stereo. The Robert Schneider-fronted band that emerged out of the Elephant 6 collective offers a perfect mix of sunny, exuberant vocals and sophisticated arrangements. Plus, as Greg explains, Schneider is just a big overgrown kid (something that listeners who heard his interview on Sound Opinions can attest to). Jim prescribes a dose of Smash Mouth. A couple of years ago the California garage popsters, who Jim thinks of as the male equivalent of No Doubt, released a greatest hits album called All Star Smash Hits. Jim explains that, as a fan of garage rock, David will appreciate their edgy aesthetic and punk covers. In addition, his kids are certain to enjoy the more bubble gum aspects of Smash Mouth's music and covers of songs like "I'm a Believer" (which they might already know from the Shrek 2 soundtrack). A week later David returns to the doctors to report on his health status. He relays to Greg that he and all his sons really enjoyed the Apples in Stereo. He describes the band's music as fun and upbeat, as well as weird and experimental. David's wife was another story, but these doctors only agreed to please five patients… six might be pushing it. Smash Mouth was something the whole family could agree on, especially for road trips and casual listening. The six year old described it as "a lot like rock and roll." But, David and his boys found the Apples in Stereo to be“meatier”and more interesting. Perhaps we've got four young rock critics in the making!